“It’s difficult to believe that any serious effort to find a qualified candidate with a compelling vision for the mission of the World Bank and a belief in the legitimacy of international development finance would lead to the nomination of Treasury Undersecretary for International Affairs David Malpass,” said Chairwoman Waters. 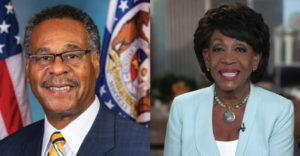 WASHINGTON — Today, Congresswoman Maxine Waters (D-CA), Chairwoman of the House Financial Services Committee, and Congressman Emanuel Cleaver (D-MO), Chair of the Subcommittee on National Security, International Development, and Monetary Policy, issued the following statements on the nomination of David Malpass, Under Secretary of the Treasury for International Affairs, to serve as President of the World Bank. The House Financial Services Committee is responsible for conducting oversight of U.S. participation in the multilateral development banks, including the World Bank. Financial Services Committee Democrats have consistently pushed for strong leadership at the World Bank and insisted on more transparency and disclosure of information. As a result, Committee Democrats have continuously played an active role in helping to shape the development policies that have helped make the World Bank the preeminent development institution that it has become. In previous Congresses, Committee Members conditioned U.S. support for the Bank on the creation of the Inspection Panel — an independent accountability mechanism that could investigate allegations by citizens of the Bank’s failure to follow its own policies and procedures. The Committee has also worked in a bipartisan manner to successfully push for debt relief for impoverished countries.